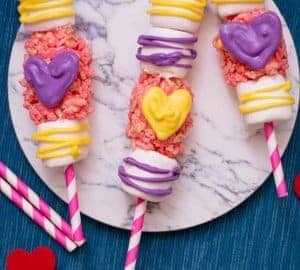 Are you looking for a super cute and fun Valentines Day Food Idea? If so look no further! One of my favourite insects happens to be the ladybird. 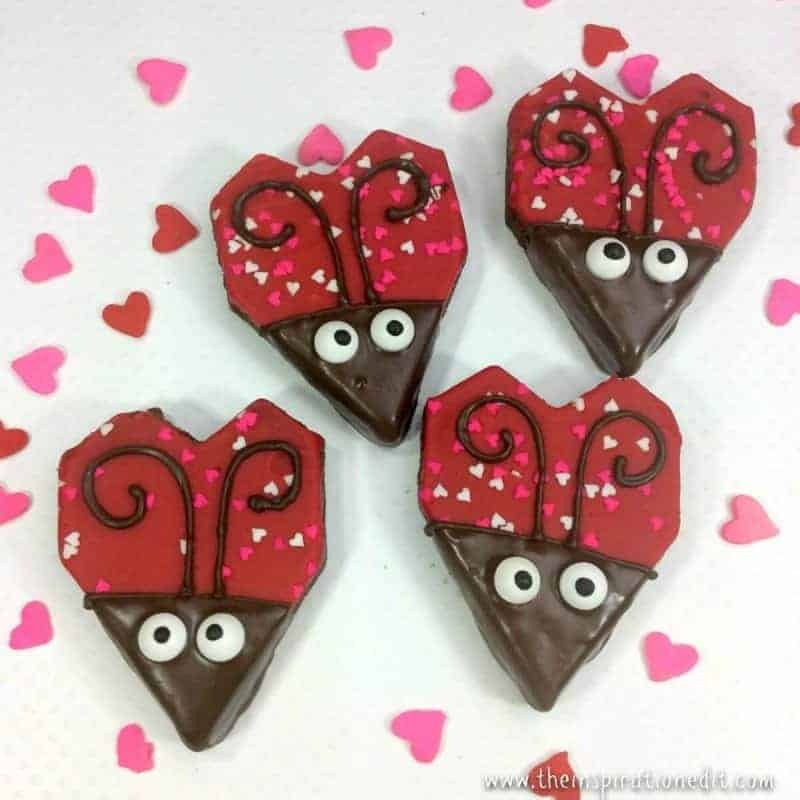 They are so gorgeous and cute and today I am sharing a fantastic Lady bird or Lady bug (for my American friends) recipe here on the blog. 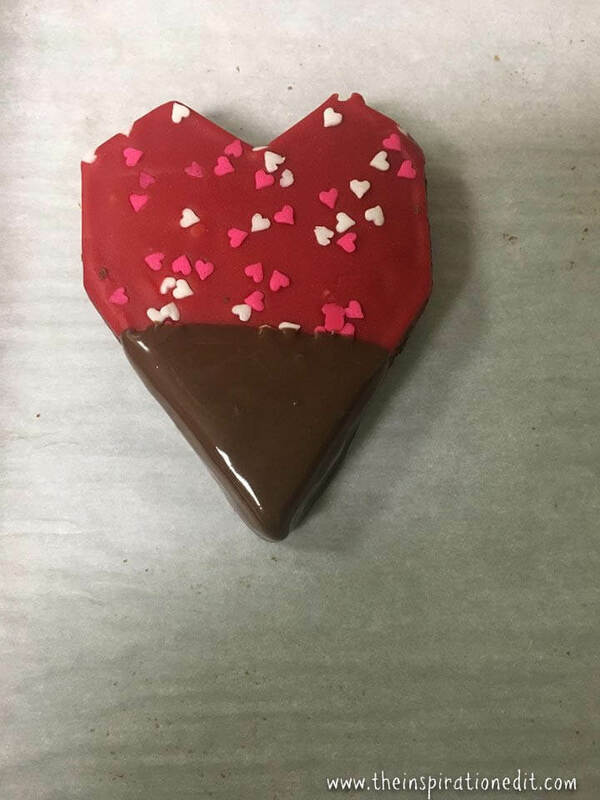 It’s a sweet treat and perfect for Valentines Day! 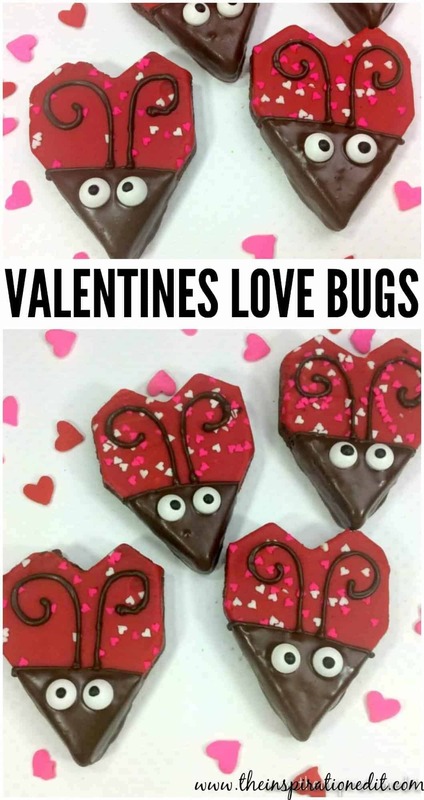 I really do hope you like these super cute valentines love bugs. 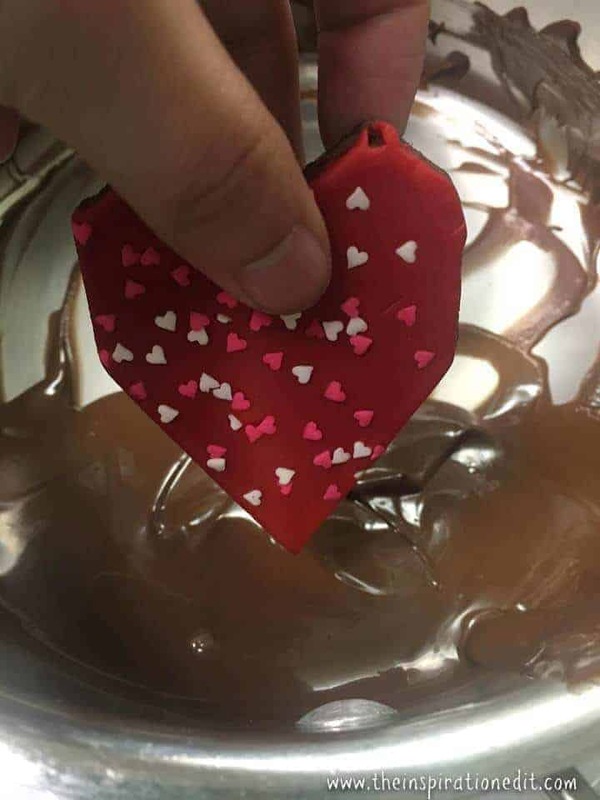 Using a double boiler, melt your chocolate. While the chocolate is melting, unwrap your brownies and place them on the cookie sheet. 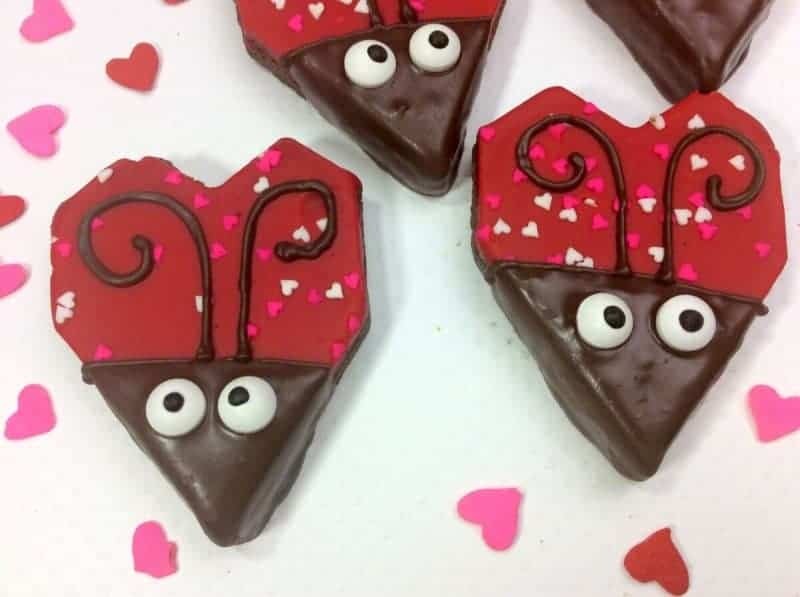 Once the chocolate is melted, dip the tip of the brownie heart into the chocolate about 1/4 of the way to create the face of the lady bug. Place onto the cookie sheet and place two eyes onto the centre of the melted chocolate. Repeat with the remaining brownies. Once all brownies have been dipped and eyes have been placed let sit for a few minutes while you prep the piping bag. Scoop some chocolate into the piping bag a cut the tip off. Pipe a curly line to create the antenna. These are so fun! I can’t wait to try them! These are really cute! And they can so be adapted for a garden themed birthday! These Lady Bugs are so adorable! They are easy enough to make that my grandchildren could help (away from the heat of course)! My oldest, 35 today, loves Little Debbie cakes and brownies I s’pose I should save him one too! 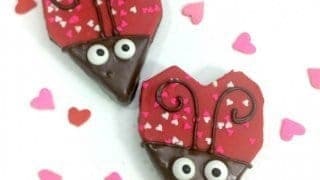 Appreciate your blog post, its such a great valentine idea and it looks very delicious. I am gonna try it for sure , chocolate is my all time love and thus, I will go for it to surprise my wife. This is adorable. 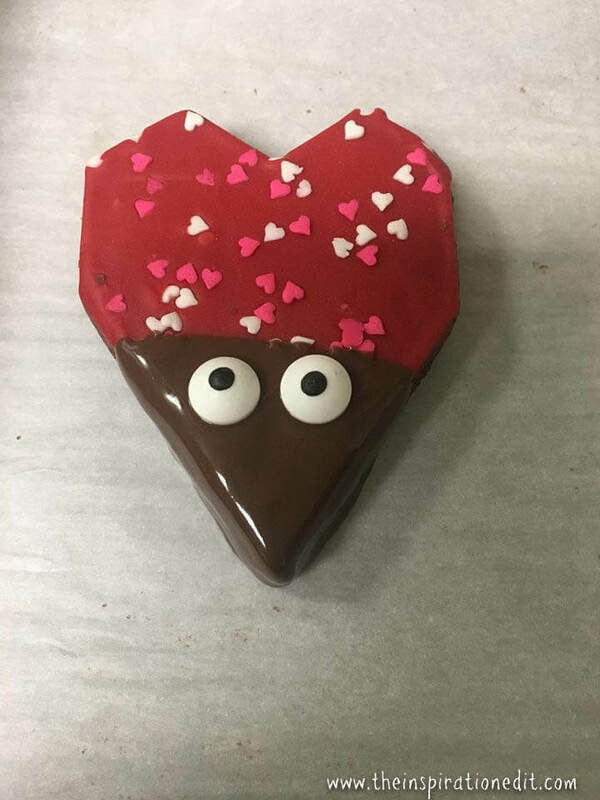 I didn’t know that they made Little Debbie Brownie Hearts. 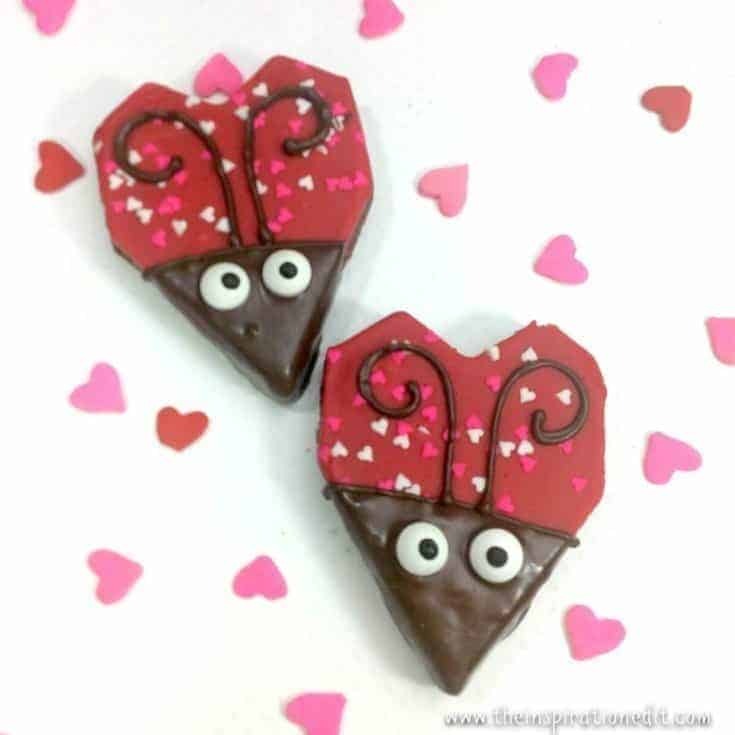 You decorated them beautifully, almost too cute to eat. So cute! 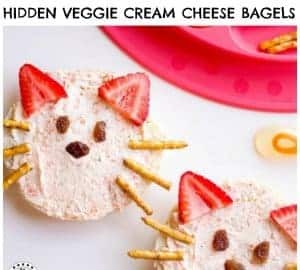 My two-year-old would love these! Wow, this looks so cute. These are too pretty to eat. I love the idea and it’s really a perfect Valentines gift. thanks. They are super cute. I agree. These are so cute… and sweet- literally! 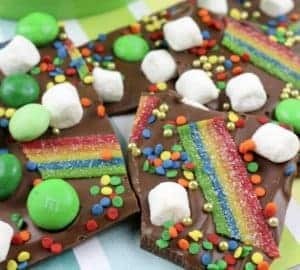 What a fun treat to make with the kids! 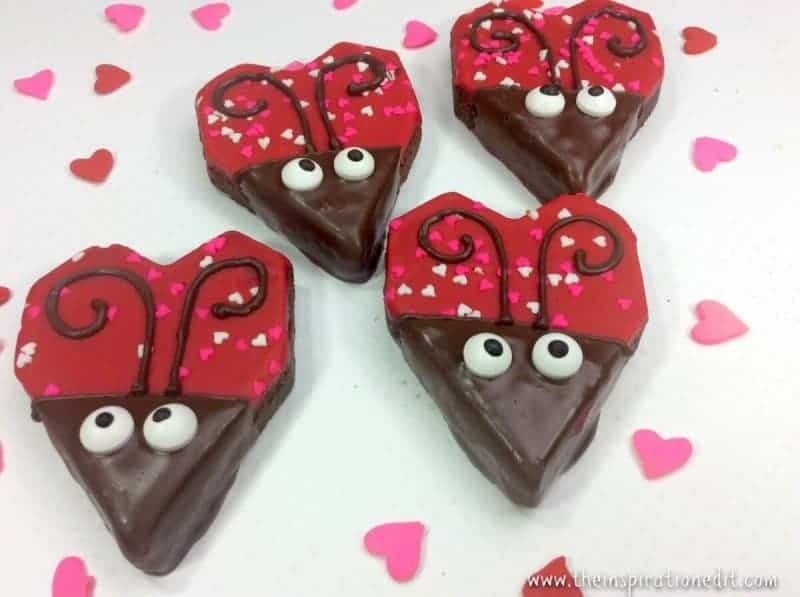 Your post reminded me that Valentine’s day is a mere two weeks away! Yikes! I haven’t really thought much about it! But I have to now! Thanks for this! Would love to make it on V-day! This is a cute idea for valentines day. i’ll try to make this one. i’m writing a blog post regarding cute gift ideas or surprises for valentines , can i include yours? i’ll include your link in my post.